Gruesome gags. Gory giggles. Putrid puzzles. Sick science facts. 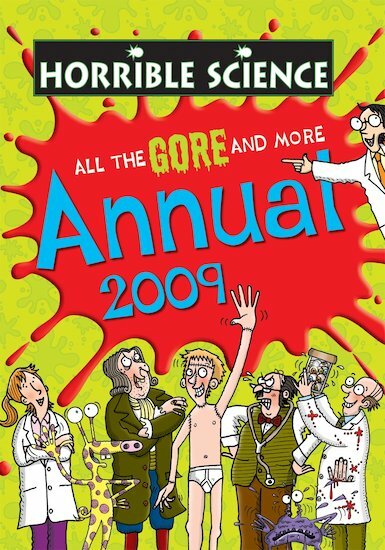 If you want to get the inside story on your insides, get the Horrible Science Annual… the only science annual that’s guaranteed to make you squirm. There’s a belly-laugh in here for every day of the year. But only if you can stomach all the squishy bits! Had fun with all the gorey bits.